Should the world’s poorest countries be allowed to continue copying patent-protected drugs? Dr Enrico Bonadio, a Senior Lecturer in The City Law School analyses the World Trade Organisation’s extension of its waiver permitting least developed countries (LDCs) to copy patented medicines until 2033. 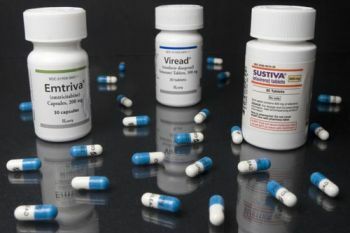 The World Trade Organisation has agreed to extend a waiver that allows poor countries to copy patented medicines. The waiver, which was due to expire in January 2016, has now been extended to 2033. The countries that will benefit from the waiver are the 48 poorest nations, classified by the United Nations as “Least Developed Countries” or LDCs, and include many African and some Asian countries. About half of the 900m population across these countries live on less than US$1.25 a day. All other countries, including developing countries such as India and China, are still bound by the WTO’s agreement on trade-related intellectual property rights (or TRIPS) with respect to drug patents. The waiver is critical for the least developed countries. Compared with richer countries, they have a much higher disease burden, especially infectious diseases such as HIV and malaria. In 2011, about 9.7m people in these countries were living with HIV. Many of the drugs that treat these diseases are still under patent protection. Drug patents last for 20 years and allow drugs companies time to recoup their investment into research and development and turn a profit. Once the patent protection period ends, other drugs companies can then copy the drug and sell it as a generic medicine. These generics are much cheaper than branded drugs. 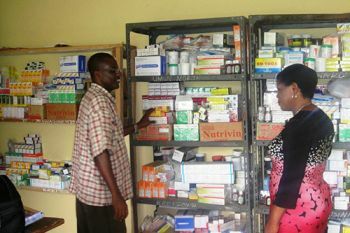 Countries such as Uganda, Cambodia and Rwanda have already taken advantage of the WTO’s temporary waiver and begun to develop their own pharmaceutical industry. This has been helped by investments from drug companies in the developing world. For example, Uganda-based Cipla Quality Chemicals was originally a joint-venture between Cipla, a large Indian generics manufacturer, and the Ugandan government. It is the only company in Africa that makes triple-combination antiretroviral drugs. Developing and strengthening manufacturing capacities in LDCs is important as these countries are often unable to import cheap copies of patent protected drugs from countries like India. India has many large generics firms within its borders and, although it ratified TRIPS in 1995, it only brought its patent laws in line with the treaty in 2005. It too now has to respect international drug patents. So the extension of the waiver is important, but it is only temporary, which doesn’t please everybody. Least developed countries and some NGOs would have preferred an indefinite extension or at least an extension until a country is no longer classified as a least developed country, rather than the set date of 2033. This position is supported by the European Union, but not by the US. It costs pharmaceuticals companies about US$2.6 billion to develop a new drug. If these companies were not allowed to protect their investment with patents, it is doubtful that any new drugs would be developed. So patents are an important incentive. But patent protection doesn’t work for poor countries. Intellectual property (IP) rights, like patents, aren’t an effective incentive in countries which have not reached an adequate level of economic development because they have no intellectual property to protect. IP rights might be effective over the long term, but only after a local and relatively strong pharmaceutical industry is developed. The exemption could be dropped once countries that have benefited from it have developed enough, and the industry reaches a self-sustaining size. Although building a home grown pharmaceuticals industry is not a requirement of the WTO waiver, a strong local industry would give poor countries direct access to much needed cheap medicines. The WTO’s transitional waiver makes sense. By temporarily allowing LDCs to ignore patents on drugs, it gives them time to develop their own pharmaceuticals industries. And we are already seeing evidence of this happening. According to the UN agencies, UNDP and UNAids, the proportion of people with HIV who are not receiving anti-retrovirals reduced from 90% in 2006 to 63% in 2013 thanks to the availability of drugs made by LDCs. Despite some criticisms, the WTO’s decision to extend the waiver should be praised. It seems fair and reasonable, and it doesn’t excessively jeopardise companies that make branded (non-generic) drugs. They don’t seem to lose much from missed royalties. Overall, the poorest countries account for less than 2% of the world’s gross domestic product and about 1% of global trade in goods. Not a big business opportunity for big pharma. The World Trade Organisation (WTO) is the only global international organization dealing with the rules of trade between nations. At its heart are the WTO agreements, negotiated and signed by the bulk of the world’s trading nations and ratified in their parliaments. The goal is to help producers of goods and services, exporters, and importers conduct their business.